The world is there because of you – you create it, you are a creator. Every single being creates a world around himself, it depends on his mind. The mind may be illusory, but it is creative – it creates dreams. And it is up to you to create a hell or heaven. If you leave this world you will not be able to leave it. Wherever you go you will create the same world again, because the world is constantly coming out of you just as leaves are coming out of the tree. You don’t live in the same world; you cannot because you don’t have similar minds. Just by the side of you somebody may be living in heaven, and you may be living in hell – and you feel that you are living in the same world? How can you live in the same world when minds differ? So the first thing to be understood is that you cannot leave the world unless the mind disappears. They are related, they depend on each other, they make a vicious circle. If the mind is there… And a mind is always a particular mind. When the mind is no more a particular mind, when it becomes a Mind with a capital M it is no more mind, it has become consciousness. A mind is always a particular mind and it carries a particular aroma around it – that is your world. The mind creates the world and then the world creates the mind, helps the mind to remain the same. This is the vicious circle. But the source is in the mind; the world is just a by-product. The mind is substantial; the world is just the shadow of it. And you cannot destroy the shadow, but everybody tries to destroy it. If this wife doesn’t suit you, you think another wife will. You are trying to change the world, and you are the same. You will just turn the next wife into an exact replica of the old. You will again create, because the wife will be just a screen. The problem is not the woman, the problem is the mind. The mind is again attracted to the same type of woman, again creates the same relationship, again finds the same mess and the same hell. And the same happens in everything you do. Do you think you will live happily in a palace? You are wrong! Who is going to live in the palace? You will live there. If you are not happy in your hut, you will not be happy in your palace. Who will live in the palace? Palaces don’t exist outside you. If you can live happily in a hut, you can live happily in a palace, because you create the world around you. Otherwise, as the hut pinches you the palace will pinch – even more so because it is a bigger thing. It will be a hell, just the same – more decorated, but a decorated hell is not a heaven. And even if you are forcibly thrown into heaven you will try to find an exit, or you will create your hell there. And the other also came to the same conclusion within days. They again became partners there, and they wanted to start a business firm to manufacture dresses. The same is going to happen wherever you go, because you are the world. You create a world around you, then the world helps the mind which has created it. The son helps the father, the son helps the mother, your shadow helps the substance – then the mind is strengthened more, then again you create the same world on the same lines. From where to start a transformation? How to change? If you look, the first look will say to change the world, because it is so apparent around you. Change it! And that’s what you have been doing for many lives: continuously changing the world, changing this and that, changing houses, bodies, wives, husbands, friends – changing, but never looking to the fact that you remain the same, so how can you change the world? That’s why a false tradition of renunciation came into existence all over the world. Escape from the house and go to the monastery. Escape from the market, go to the Himalayas. Escape from the world! To the Himalayas you can go easily, but how can you escape from yourself? You will create the same world there – the same! It may be a miniature world, it may not be so vast, but you will do the same. You are the same – how can you do anything else? Deeper insight reveals that: change the mind, then the world changes. Then wherever you are a different world is revealed. You go deeper, and then you understand that if you want to be really without the world around you…. Because howsoever beautiful the world is, sooner or later it will become a boredom and you will be fed up. Even if it is a heaven you will start longing for the hell, because the mind needs change. It cannot live in the eternal, it cannot live in the non-changing, because the mind hankers for some new curiosity, some new sensation, some new excitement. It is not possible for the mind to stop time and to remain timelessly. That’s why the mind cannot live in the now, the here, because now is not a part of time. It never changes, it is eternal. You cannot say it is unchanging, it is not permanent, it eternal. It is simply as it is. Nothing happens there. It is emptiness. Buddha has called it shunyata – absolutely empty. Nothing happens there, nobody comes, nobody goes. 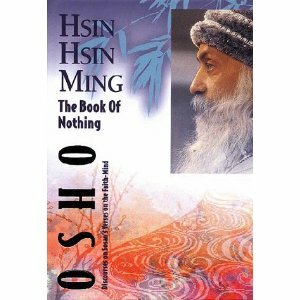 There is nobody, because if somebody is there then something or other will happen. Mind cannot live in the eternal now. Mind wants change and goes on hoping, and goes on hoping against all hope. The whole situation is hopeless, but mind goes on hoping. This is how mind functions – goes on hoping, not for many years; but for many lives! You knock on the same door with the same inquiry and desire, and it is always no. What have you gained through mind except nos? Yes has never come that way, it cannot come. Mind is a futile effort. It is desert like, nothing grows on it, nothing can grow. But it goes on hoping. Even a desert dreams, and dreams of beautiful gardens, rivers flowing, brooks and waterfalls. Even a desert dreams… and that is the dream of the mind. One has to be alert. There is no need to waste any more time – no need to knock on the agent’s door. Enough you have lived with the mind. Nothing have you achieved through it. Is it not the right time to be alert and aware? Of course you have gathered many miseries and many hells – if you call them achievements then it is okay – anguish, frustration. And wherever you move with the mind something goes wrong, because mind is the mechanism of the wrong. You look: something goes wrong. And you know that the staff remains straight even in water, but your eyes still say that it is not straight. A hundred times you can bring it out and put it in. Even if you know well that the staff remains straight, the medium will again give you the false information that it is no more straight. You have known many, many times that the misery is created by the mind, but again you fall a victim. Mind creates misery. It cannot create anything else because it cannot encounter reality. It can only dream – that is the only capacity for the mind. It can only dream. And dreams cannot fulfill, because whenever they come against the reality they are shattered. You live in a house of glass, you cannot face reality. Whenever reality comes your house is shattered, and many houses you have lived in are shattered. You carry their ruins in the mind, the anguish that resulted. And that has made you very sour, very bitter. Taste anybody and you will taste him bitter. And that is the experience of others about you also: everybody tastes bitter. Come closer and everything goes bitter; remain distant, everything looks beautiful. Come closer, everything goes bitter – because when you come closer, minds penetrate each other and everything is crooked, then nothing is straight. This has to be realized as your experience, not as a theory from me or Sosan. Sosan can’t help, neither can I. It must become your own experienced phenomenon. Experienced, it becomes a truth – and then many things start changing, then you drop the mind. And when the mind drops, all worlds disappear. When the mind drops, objects disappear; then they are no more objects. Then you don’t know where you end and where things start, then there are no boundaries. Boundaries disappear. In the beginning you feel as if everything has gone blurred, but by and by you settle in the new phenomenon which is of no-mind. Then stars are there, but they are part of you, no more objects. Flowers and trees are there but they flower in you, no more outside. Then you live with the totality. The barrier is broken – the barrier was your mind. Then for the first time there is no world, because world means the totality of objects. For the first time there is a universe, and universe means one. Remember the word ‘uni.’ This you call a universe? Wrongly. Don’t call it a universe, for you it is a multiverse. Many worlds, no more one, it is not yet. But when the mind drops, worlds disappear. There are no objects. Boundaries mingle and meet into each other. The tree becomes the rock, the rock becomes the sun, the sun becomes the star, the star becomes the woman you love, and everything is meeting and mingling into each other. And you are not there, separate. You are in it throbbing at the very heart, pulsating. Then it is a universe. Mind drops, objects disappear – the source of dream has disappeared. What have you been doing? You have been trying to get a better dream, to no avail of course. But the whole effort of the mind is to get a better dream. Don’t think that mind can give you a better dream – a dream is a dream. Even if better, it will not be a satisfactory thing, it cannot give you a deep contentment. A dream is a dream! If you are feeling thirsty you need real water, not dream water. If you are hungry you need real, substantial bread, not dream bread. For a few moments you may be able to deceive yourself, but how long? Every night it happens: you are hungry, the mind creates a dream – you are eating, you are eating delicious things. For a few minutes it is okay even for a few hours it is okay, but how long? Can you stay in this dream forever and ever? It helps sleep, you don’t get disturbed. Otherwise hunger will disturb you, you will have to get up and go to the fridge. It helps: you can go on sleeping, feeling that you are eating; there is no need to go anywhere. But by the morning you will know that your mind deceived you. Your whole life is just like a dream, and you are substituting dream objects for the reality. So every day everything is shattered, every day you are shocked into reality, because the reality goes on bumping from here and there. You cannot avoid it! A dream is a very fragile thing; the reality goes on bumping in and breaking. And it is good, it is for your good, that the reality breaks your dreams, shatters them to pieces. But you again start collecting those pieces and creating other dreams. Drop it! Enough you have done that. Nothing has been achieved. Now no more of it! Once you understand that dreaming has to be stopped, the world of objects disappears. The world will be there, but not of objects. Then everything becomes alive, everything becomes subjective. That is the meaning of religious people who say that everything is God. What are they saying? God is just a metaphor. There is nobody sitting somewhere in heaven, controlling, managing, engineering. God is just a metaphor – the metaphor that the things in the world are not like things, they are persons. Deep inside a subjectivity is there. Everything is alive and throbbing. And this throbbing is not a fragmented process, this throbbing is a whole throbbing. Of course you feel the beat of the heart near the heart, at the heart. But you think it is only in the heart? Then you are wrong – the whole body is throbbing. The heart only indicates, the whole body is throbbing. That’s why when the heart stops, the body is dead. It was not the heart really that was throbbing, the whole body was throbbing through the heart; the heart was just an indicator. You are throbbing, but the whole is throbbing through you – you are just an indicator, a heart. The universe throbs and beats through you. You are not, the universe is. And the universe is not a totality of objects, it is a subjectivity. It exists as a person. It is alive, conscious. It is not a mechanical arrangement. It is an organic unity.